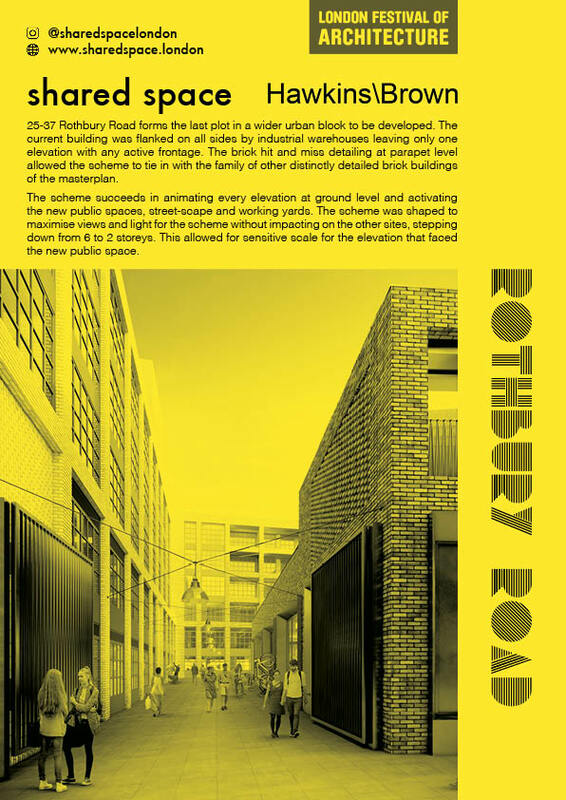 25-37 Rothbury Road forms the last plot in a wider urban block to be developed. The current building was flanked on all sides by industrial warehouses leaving only one elevation with any active frontage. The brick hit and miss detailing at parapet level allowed the scheme to tie in with the family of other distinctly detailed brick buildings of the masterplan. The scheme succeeds in animating every elevation at ground level and activating the new public spaces, street-scape and working yards. The scheme was shaped to maximise views and light for the scheme without impacting on the other sites, stepping down from 6 to 2 storeys. This allowed for sensitive scale for the elevation that faced the new public space.